 Your support of the Arizona Association for Foster and Adoptive Parents supports foster, adoptive and kinship families who care for the state’s most vulnerable children. Your donation may qualify for an Arizona state tax credit under the Foster Care Tax Credit. The maximum amount allows is up to $500 for individual filers and up to $1,000 for joint filers. Please consult your tax professional for complete details on the Arizona Foster Care Tax Credit. $1,000 buys 20 pairs of NEW shoes for children in foster care. $500 buys parts to recycle 20 bicycles to give to children in foster care during the holidays. $100 buys 5 NEW jackets for children in foster care.